Healthy eating, cooking, growing food and shopping are just some of the independent living skills taken up by people with learning disabilities through community food and health initiatives. Adults with learning disabilities are more likely to have weight problems, so a healthy diet is vital. Just as important, however, is the creative learning environment that helps develop personal and social confidence. ‘A Healthier Me’ is a Borders wide project. 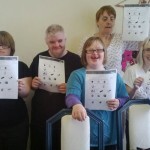 It aims to ensure that adults with learning disabilities using the 12 learning disability services based in the Borders area receive consistent support and information with eating well and other lifestyle related activity. ENABLE Scotland supports adults and children with learning disabilities living in their own homes, or shared accommodation, to achieve their personal goals. Since 2007, it has encouraged its staff to train in nutrition to ensure people using their service receive consistent food and health messages and support. 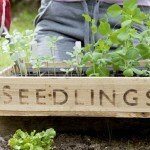 Based in Edinburgh, Upward Mobility runs workshops for students with a learning disability, covering a wide range of subjects that includes cooking and community gardening.